Acne is one of the most common skin conditions we see at our Kelowna skin care clinic. In fact approximately 90% of teenagers and 1 in 5 women across Canada are affected by acne. Active, inflamed acne lesions can cause a great deal of frustration and embarrassment for acne sufferers, and so can the scarring that remains behind after the acne is under control. For some patients, this scarring is extensive and unlikely to completely heal on its own, such as deeply pitted acne scars that leave a pockmarked, uneven texture to the skin. Fortunately, there are many effective acne treatments now available to help restore the health of your skin if you are dealing with disfiguring acne scars. 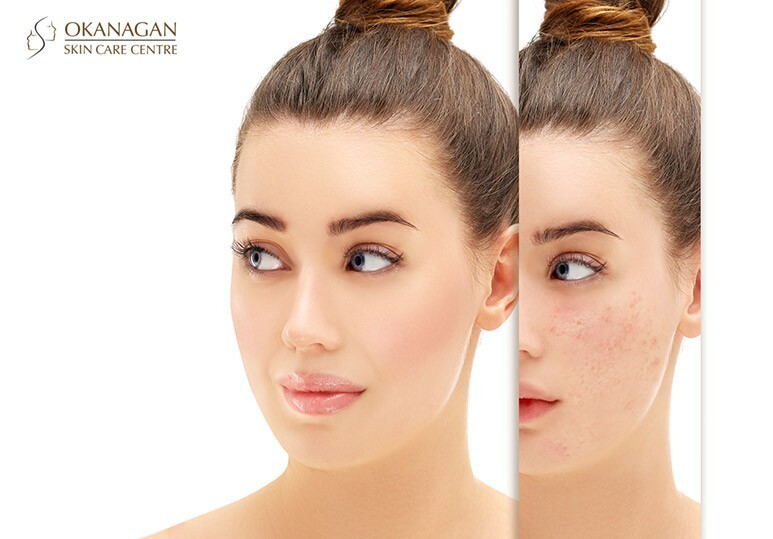 At Okanagan Skin Care Centre, we begin every treatment for acne scarring by first ensuring that the acne is under control. Technologies like laser blue light treatment can be extremely effective to calm down inflamed skin and kill acne-causing bacteria. Once the acne is no longer active, we can move on to reducing any remaining acne scars. Dermal or soft tissue fillers are an excellent option for pitted acne scars that involve indentations or pockmarks on the skin. How do dermal fillers work on acne scars? Dermal fillers are liquid or gel-like substances that are carefully injected into areas with indented acne scars. The substance is often a naturally occurring material similar to the substances that the body produces on its own to maintain the skin, such as collagen or hyaluronic acid. Once injected, the dermal filler acts to plump out the pitted acne scars, restoring an even, smooth texture to your skin. The results typically last from six months to one year. What are the benefits of dermal fillers over other acne scar treatments? Dermal fillers are particularly effective at restoring volume in areas where the acne scar is depressed or indented. This makes dermal fillers a fabulous solution for ice-pick acne scars, box car acne scars, and rolling acne scars. For other types of acne marks, such as hyperpigmentation or extensive scarring, we recommend chemical skin peels and microdermabrasion. What are the typical dermal fillers for acne scars? 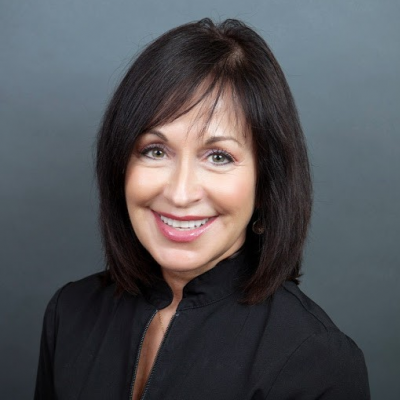 Your skin care specialist will provide a recommendation on the right type of dermal filler for your specific acne scars, so your individual treatment plan may vary. Some of the most common dermal fillers we use for acne scars at Okanagan Skin Care Centre include Juvéderm® and Perlane. Is there any required downtime after getting dermal fillers? Dermal fillers are a minimally invasive procedure, so they require little or no downtime. The entire procedure takes about 30 to 60 minutes, and most patients are able to return their day with no impact. 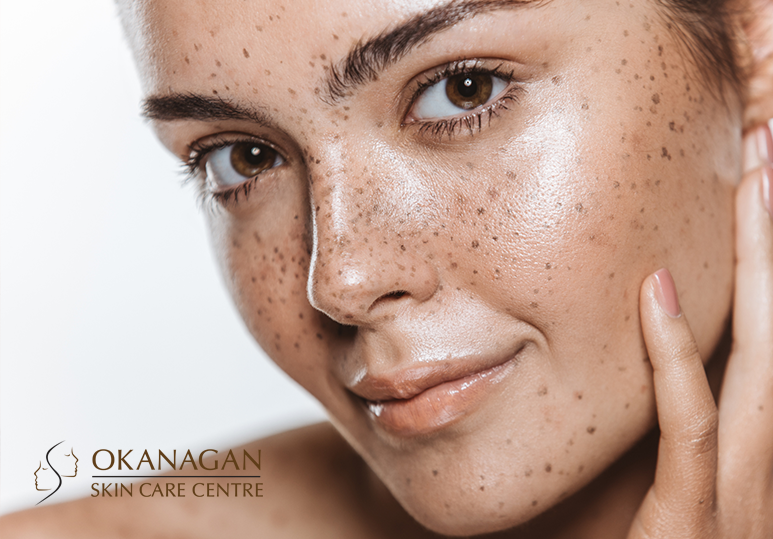 For a personalized consultation on the best skin solution for your needs, please contact Okanagan Skin Care Centre at: 250-868-9290.